Music was in Dan Fogelberg’s blood. His mother was a classically trained pianist, while his father was a high school band director. So it was no surprise that after Dan Fogelberg graduated from University of Illinois at Urbana–Champaign that he embarked upon a career as a musician. Initially, Dan Fogelberg was a member of the folk-rock band The Ship. Soon, though, Dan began playing solo acoustic sets in local cafes. This included the Red Herring, which was one of the venues for a local folk festival in 1971. Dan was invited to play at the folk festival, and his set was recorded. Twenty year old Dan Fogelberg had just made his recording debut, and wasn’t even signed to a record label. That would come soon enough. Not long after the folk festival, twenty year old Dan Fogelberg met Irving Azoff. He was a music manager, who was promoting REO Speedwagon, another alumni of University of Illinois at Urbana–Champaign. Straight away, Irving Azoff spotted the potential in Dan Fogelberg, and signed him as a client. The first thing Irving Azoff did, was send Dan Fogelberg to Nashville. This was to smooth away the rough edges. Playing live in the country capital of America allowed Dan to hone his sound. So did working as a session musician. It was part of Irving Azoff’s master-plan to prepare Dan for life as a recording artist. It would prove successful, and by 1985 Dan Fogelberg was one of the most successful America solo artists. He was also about to release his ninth album, High Country Snows. Two years later, in 1987, and Dan released his tenth album Exiles. These two albums were recently released by BGO Records as as a two CD set. 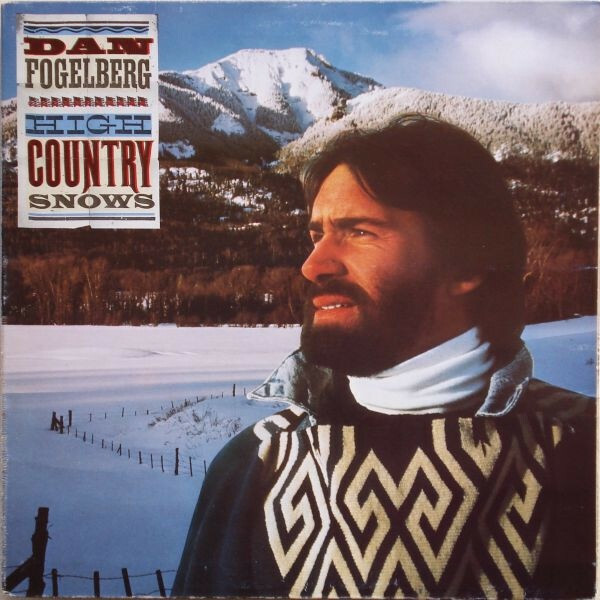 High Country Snow and Exiles was the next chapter in the Dan Fogelberg story. Dan Fogelberg’s recording career began in 1972, when he released his debut album Home Free. It had been produced by Nashville based producer Norbert Putnam. The album received a mixed reception from critics. This didn’t bode well for the release Home Free. When Home Free was released, the album reached 210 in the US Billboard 200. This was an inauspicious start to Dan Fogelberg’s recording career.Few critics would forecast what happened next. On the release if Souvenirs in October 1974, it reached number seventeen in the US Billboard 200. This resulted in Souvenirs being certified double platinum. After a shakey start to his career, Dan Fogelberg’s star was in the ascendancy. For his third album Captured Angel, Dan Fogelberg not only wrote the eight tracks on the album, but produced them too. This was a risky move, as Joe Walsh had played an important part in the success of Souvenirs. However, Dan was confident that he could replicate the success if his sophomore album. When critics heard Captured Angel, most of them were won over by the confessional style of the album. Captured Angel seemed to have been influenced by Joni Mitchell, C.S.N.Y, America and The Eagles. The only criticism that came Dan’s way were that some of the lyrics were cliched, and that sometimes, the production style was bland and predictable. It was a case of famous last words. Captured Angel was released in September 1975, and reached number twenty-three in the US Billboard 200. This resulted in a platinum disc for Dan. While this was a cause for celebration, Captured Angel hadn’t been anywhere as successful as Souvenirs. For Dan, this must have been a worrying time. Having produced Captured Angel himself, Dan decided to bring in a co-producer for Nether Lands. The man he turned to was none other than Nashville based producer Norbert Putnam. They recorded the eleven tracks that became Nether Lands at four studios. When Nether Lands was complete, the album was released in May 1977. Just like Captured Angel, the majority of reviews of Nether Lands were positive. Nether Lands was a lushly orchestrated concept album. Critics heralded the album as emotive, poignant, powerful. Elements of country, folk pop and rock were combined with a hint of classical music. Dan’s fourth album Nether Lands was a much more eclectic album. How would record buyers react? When Nether Lands was released, the album reached number thirteen in the US Billboard 200. This resulted in Nether Lands being certified double platinum. Dan had just released the most successful album of his career. Now it was a case of doing it all again. Given the success that Dan was enjoying, he was having to divide his time between touring and recording. So having released Nether Lands, he toured the album. Then once the tour was over, work began on his fifth album, Phoenix. Having written the ten tracks that would become Phoenix, it wasn’t until November 1978 that the recording sessions began. The sessions contented until October 1979. A month later, and Phoenix was released. Before that, critics would have their say on Dan’s new album. Mostly, Phoenix was well received by critics. They heaped praise on Phoenix. However, a few dissenting voices said that Phoenix didn’t offer anything new to listeners. The dissenters felt that Phoenix didn’t match the quality of Dan’s previous albums. Again, it was a case of famous last words from the critics. On the release of Phoenix, it climbed the charts all the way to number three, and in the process, sold over two million albums. This resulted in Phoenix being certified double platinum, and Dan’s most successful album. By then, Dan’s debut album Home Free had been certified platinum. This meant that Dan Fogelberg had sold over eight million albums in seven years. It was an incredible run of commercial success and critical acclaim. However, it wasn’t over yet. It featured seventeen tracks, which were co-produced by Dan and Dan Lewis. Accompanying Dan, was an all-star band. Don Henley, Glenn Frey, Emmylou Harris, Joni Mitchell and Chris Hillman added backing vocalists, and were joined by saxophonists Michael Brecker and Tom Scott. The extended line up of Dan’s band recorded what would be the most ambitious album of his career. While The Innocent Age was the most ambitious album of Dan’s career, it also managed to be both one of the most successful and underrated albums of his career. Although The Innocent Age was released to critical acclaim, it didn’t receive the same praise as previous album. It’s only recently that The Innocent Age has been recognised as one of the finest albums of Dan’s career. The Innocent Age was also an album that appealed to a wide range of record buyers. That was reflected in record sales, when The Innocent Age was released in August 1981. It reached number six on the US Billboard 200 charts, and was certified double-platinum. That wasn’t the end of the commercial success. Four singles were released from The Innocent Age. Three reached the top ten in the US Billboard 100. Hard To Say reached number seven; before Same Old Lang Syne reached number nine. Leader Of The Band, a song about Dan’s father, also reached number nine. The final single taken from The Innocent Age was Run for the Roses, which reached number eighteen. This was an added bonus, in what had been the most successful album of Dan’s career. Following The Innocent Age wasn’t going to be easy. And so it proved to be. Three years passed before Dan returned with what the eighth album of his career, Windows and Walls. That wasn’t surprising. The Innocent Age had been the most ambitious and successful album of Dan’s career. He must have wondered how could he followup what was his commercial Magnus Opus. However, the longer Dan waited to release a followup to The Innocent Age, the more the musical landscape changed. Eventually, Dan returned in 1984. The long-awaited, and much-anticipated followup to The Innocent Age was Windows and Walls. It wasn’t a double album like The Innocent Age. That had been a one-off. This time around, Windows and Walls featured just eight songs. They were penned by Dan and co-produced with Marty Lewis. Once Windows and Walls was recorded, the album was released in 1984. Prior to the release of Windows and Walls was released in 1984, critics had their say on the album. Some of the critics remarked that while music had changed, Dan Fogelberg’s music hadn’t evolved. It was still rooted in seventies rock. Dan Fogelberg had eschewed punk, post punk, new wave and synth pop. That wasn’t what Dan thought his fans wanted to hear. His fans were older, and preferred AOR, soft rock and sometimes, country and folk. That was all very well. However, some critics felt Windows and Walls didn’t have the same quality as previous albums. However, as usual, record buyers had the final say. When Windows and Walls was released, it reached number fifteen, and was certified gold. Most artists would’ve regarded this as a success. However, Dan’s previous album The Innocent Age had sold over two million copies, and been certified double platinum. There was however, a small crumb of comfort. The Language of Love, the lead single from Windows and Walls, reached thirteen on the US Billboard 100. However, Believe in Me then stalled at forty-eight in the US Billboard 100, but gave Dan his fourth number one single in the Adult Contemporary charts. Sweet Magnolia and the Travelling Salesman was the third and final single from Windows and Walls, but failed to chart. This brought to an end a disappointing chapter in Dan’s career. His next album would be one of the most important of his career. After the disappointment of Windows and Walls, Dan didn’t waste time recording his ninth album High Country Snows. This time, Dan decided to reinvent himself. For a musician who had sold 10.5 million albums since 1972, that was a huge risk. What if High Country Snows wasn’t a commercial success? Dan’s career was at stake. For High Country Snows, Dan decided combine cover versions with his own song. He chose four cover versions, including Jay Bolotin The Outlaw and Go Down Easy, plus Carter Stanley’s Think of What You’ve Done. Opening High Country Snows was a twenty-seven snippet of Lester Flatt and Ear Scruggs’ Down The Road. These four cover versions were augmented by seven songs penned by Dan. This included songs that Dan had written when he was working as a session player in Nashville. That seemed like a lifetime ago. Irving Azoff had sent to Nashville in 1971. Right up until Dan released his debut Home Free in 1972, he combined working as a session player with his career as a solo artist. This had worked, and thirteen years later, Dan was one of the biggest selling solo artists. He wanted this success to continue. So when he entered the studio, Dan was joined by some top country musicians. When the recording sessions for High Country Snows began, Dan was joined by different musicians on just about every track. Around eighteen musicians featured on High Country Snows. However, some musicians formed the core of Dan’s band. This included the rhythm section of drummer Russ Kunkel, bassist Emory Gordy Jr. They were joined by violinist Jim Buchanan was joined by Jerry Douglas on dobro and David Grisman on mandolin. Other musicians included Chris Hillman on mandolin and backing vocals; guitarist Doc Watson; Charlie McCoy on harmonica and vocalist Ricky Skaggs. Dan who was a talented multi-instrumentalist, played guitars, synths, piano, keyboards and added vocals and handclaps. With the extended lineup of his band, he co-produced High Country Snows with Marty Lewis. It was released in 1985. Before High Country Snows was released, critics received a copy of the album. Most were expecting another album similar to Windows and Walls. Some critics thought that Dan’s music might change. None of them foresaw the direction Dan’s music headed on High Country Snows. Dan had turned his back on rock and had drawn inspiration from his Nashville days. The result was an album progressive bluegrass. This was a relatively new genre, which some writers about country music called newgrass. Aiding and abetting Dan in his newgrass debut were some of the finest bluegrass musicians. So it was no surprise that Dan’s newgrass debut proved popular, and introduced him to a new audience. When High Country Snows was released in 1995, it reached number thirty in the US Billboard 200, and number twenty-three in the US Country charts. This was enough for High Country Snows to be certified gold. Despite this, High Country Snows was Dan’s least successful album since his 1972 debut album Hone Free. However, given Dan was in the process of reinventing himself, High Country Snows can be seen as a success story. It sold over 500,000 copies, and nowadays is regarded as a seminal album of newgrass. This presented Dan with a dilemma, what direction should his next album take? Despite High Country Snows being certified gold, Dan decided not to continue his dalliance with newgrass. If he did, Dan risked further alienating his fans. High Country Snows had been his lowest chart placing for thirteen years. Some of his loyal fans had been dismayed at Dan’s dalliance with newgrass. They preferred Dan’s normal AOR or soft rock sound. One man who enjoyed the experience was Dan. He found the experienced liberating, and was newly reinvigorated after recording High Country Snows. Equally liberating, was heading out on tour with a group of musical friends and playing small venues in late 1985. Night after night, Dan played covers of blues classics and tracks by Cream. After that, Dan’s thoughts turned to his tenth album. Unbeknown to his fans, Dan had decided to return to his old sound. If he continued further down the newgrass road, Dan risked further alienating his fans. Dan was a realist, and knew that could be seen as committing career suicide. So Dan got to work on what became Exiles. For Exiles, which featured nine tracks, Dan penned eight of them. The exception was It Doesn’t Matter, which Chris Hillman and Stephen Stills wrote. These songs were recorded with a tight and talented band. Recording of Exiles took place at various studios in L.A. Lahaina Sound Recording, Sunset Sound, One On One Studios and Record One. Once again, different musicians were drafted in to augment Dan’s band. So much so, that some musicians only feature on one or two tracks. The rhythm section featured drummers Russ Kunkel Andy Newmark and Rick Marotta; bassists Bob Glaub, Larry Klein and Mike Porcaro and guitarist Michael Landau. Percussionist Joe Lala was joined by Michael Brecker, who played tenor saxophone and an Akai Electronic Wind Instrument. Backing vocalists included Timothy B. Schmit and the Waters Sisters. Dan played bass, guitars, synths, keyboards, vibes, drum machines and added vocals. Later, strings and horns were overdubbed. Co-producing Exiles with Dan was Russ Kunkel. Once the album was complete, it was released later in 1987. Before Exiles was released, critics had their say on Dan’s tenth album. Many critics welcomed a return to Dan’s “old” sound. Although High Country Snows was hailed a newgrass classic, many critics preferred the AOR and soft rock sound of Dan’s previous album. Those that did, were won over by Exiles. Opening Exiles was the title-track, a mid-eighties slice of synth soft rock. What You’re Doing was the a rocky ballads. It features a vocal powerhouse from Dan, and cooing harmonies from the Waters Sisters. The balladry continued on Lonely In Love, which features a soul-baring vocal. So does the beautiful and poignant piano lead ballad Seeing You Again. Then it’s all change. She Don’t Look Back, with its hurt filled vocal follows in a similar vein to What You’re Doing. Again, it has a real mid to late eighties sound. However, unlike many tracks from that period, She Don’t Look Back has stood the test of time. From there, we return to balladry on The Way It Must Be. It’s one of the standout tracks, and sometimes, is reminiscent to Don Henley’s End Of The Innocence. It too is a beautiful wistful ballad. So is Hearts In Decline, a melancholy piano lead ballad. Dan seems to be at his best on the ballads. However, he’s no one track pony. Dan ups the tempo on It Doesn’t Matter, which has an late eighties rocky sound. It’s catchy, anthemic and has aged well. Closing Exiles was Our Last Farewell, another piano lead ballad. Lush strings accompany Dan’s heartbroken vocal on this beautiful, moving ballad. It ensures that Exiles closes on a high. Given the quality of Exiles, it was an album that should’ve followed in the footsteps of Dan’s previous albums. Alas, upon its release in 1987, Exiles stalled at forty-eight in the US Billboard 200. Neither Lonely In Love nor Seeing You Again made it into the US Billboard 100. Only She Don’t Look Back charted, reached eighty-four in the US Billboard 100. Exiles was the one that got away. Twenty-nine years later, and BGO Records have recently reissued High Country Snows and Exiles as a newly remastered double album. As usual, the sound quality is stunning, and it’s a pleasure to become reacquainted with both albums. High Country Snows is remembered as a progressive bluegrass classic. It was an album that pioneered the newgrass sound, and showcased Dan Fogelberg’s versatility. He seamlessly moved from AOR and soft rock to newgrass. Despite the change in direction, High Country Snows was certified gold. Sadly, it was the final gold disc of Dan Fogelberg’s career. Never again, did he receive another gold or platinum disc. By then, he had sold eleven million albums, and was one of the most successful solo artists. Dan returned to his usual sound on Exiles. It’s a mixture of eighties soft rockers, that come complete with synths. Unlike many similar tracks, these tracks have stood the test of time. 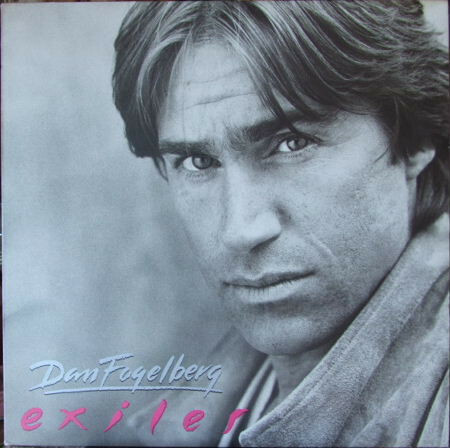 However, Dan Fogelberg is at his best on the ballads on Exiles. His delivery is heartfelt, hurt-filled and full melancholy. The songs are poignant, powerful and emotive. It’s as if Dan has experienced and survived the hurt he’s singing about. This mixture of ballads and soft rockers on Exiles results in what’s a true hidden gem from Dan Fogelberg’s extensive back-catalogue. 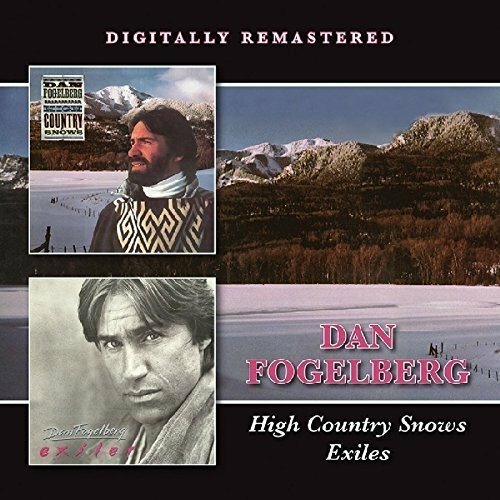 BGO Records’ decision to pair High Country Snows with Exiles allows both newcomers and veterans of Dan Fogelberg’s music, to discover two very different sides to this talented and much missed singer-songwriter. ← LESLEY GORE-BOYS, BOYS, BOYS.